MILTON, ON - August 6, 2018 - Blank Canvas and Captain Nash found the winner's circle in Monday evening's second leg of the Dream Maker Series for two-year-old pacers. The gelded son of Art Major rushed from third to first on the far turn, pacing his third-quarter in :27.2 to reach that station in 1:24.1. Blank Canvas proceeded to cruise home in :27.4 to win by nearly six-lengths. U S Captain finished second, while Thisihowwedoit was third. A $30,000 Harrisburg yearling purchase, Blank Canvas did not participate in last week's first leg of the Dream Maker. The Coleman trainee is now three for three in his young career with his three victories coming by a combined 13 Â¾ lengths. Quatrain Blue Chip cut the mile, posting fractions of :28.1, :56.4 and 1:23.4 to lead into the lane. Captain Nash followed in the two-hole, sitting a little less than two-lengths off the lead during the red-hot third-quarter. In the stretch, Captain Nash powered by Quatrain Blue Chip and paced home in :28.1 to win by 2 Â¼ lengths. 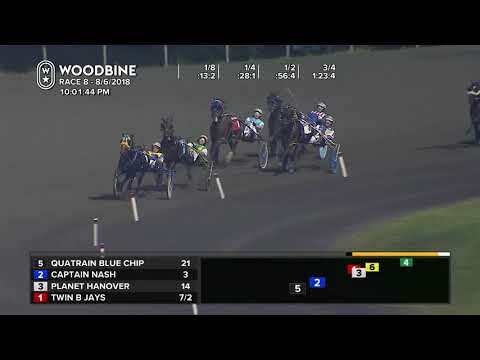 Twin B Jays finished second, while Macs Power, who was the race-favourite, reached up for third after being well-back turning for home. The $39,000 final of the Dream Maker Series is scheduled for next Monday evening. 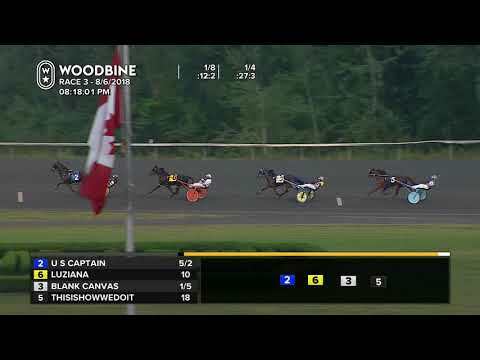 Live racing continues Tuesday at Woodbine Mohawk Park. The second leg of the Whenuwishuponastar Series for two-year-old pacing fillies headlines an 11-race card. Post time is 7:30 p.m.